There are currently not any of these classes scheduled. If you would like to see more, please email Desirée. In this course, students will move beyond basic chords and simple strums. We will cover alternate chord positions, and introduce finger picking and chord melody styles. By the end of the course, participants will have a greater understanding of meter, how to accent playing with specific strums, and be able to play songs in different styles and time signatures. Students are encouraged to bring song suggestions to class. This beginner class will introduce you to the instrument, the tuning, the strings, chords and basic songs. 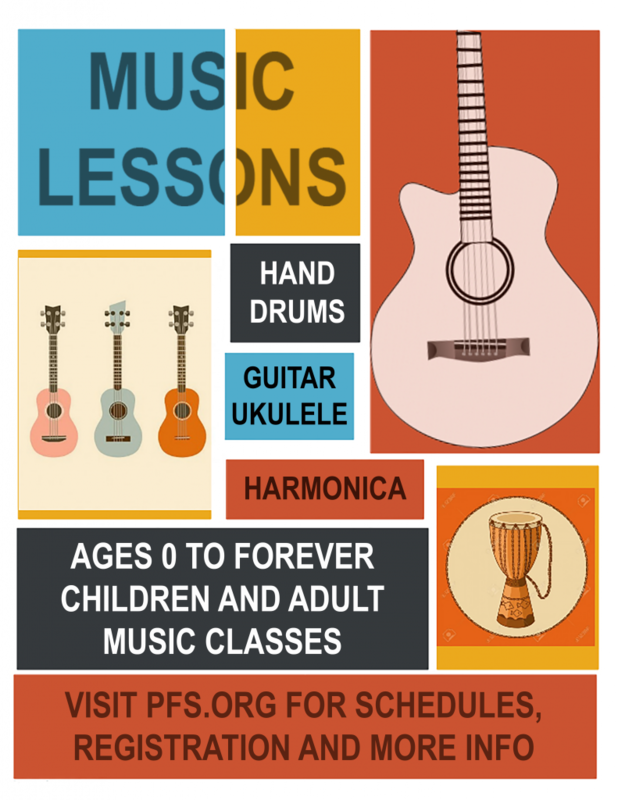 Ukuleles will be provided by PFS. Open Mic will follow class on some Wednesdays and any students that wish to stay will have the Open Mic fee waived. Seth has been playing harmonica since 1965, teaching harmonica since 1975, and has performed with Muddy Waters, Koko Taylor, Ronnie Earl, Roomful of Blues, Magic Slim & The Teardrops, and many others. 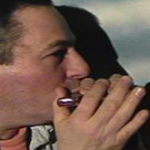 Seth was inspired to play by (and eventually studied with) the great blues harmonica player Sonny Terry. He is a caring and thoughtful instructor who teaches the techniques and musical knowledge he wishes he had known when he began his own studies. Seth currently performs in the greater Philadelphia area with Stevie and The Bluecasters. For any further questions about the courses, contact Seth at 610-724-3168 or email him at zepharpo@aol.com. Karen L. Smith, percussionist, playwright, director, poet, producer was born and raised in Brooklyn, New York and attended Brooklyn College in the performing arts department as well as H. B. Studio for acting and movement. In the early 90’s, Philadelphia became an interest as well as the various entertainment venues. Ms. Smith was born with the love of rhythmic energy and embraced percussion instruments at an early age. Karen has played with many groups, performing artists, workshops and was the lead percussionist for Ms. Debbie Allen’s Artist in Residence program under the Mann Center for the Performing Arts. She manages two groups, Sistahs Laying Down Hands, all female percussive, poetry, storytelling, dance and drumming as well as written several plays with the most recent Legacy the play and Legacy II, Where are the Tubmans? which premiered this March at Rowan College. “The Arts are healing resources for all and everyone is welcome to get some of this medicine”. Karen is currently the Program Manager for the Philadelphia Jazz Project. As a multi-Instrumentalist, songwriter, and educator, based in Philadelphia, Christopher Davis-Shannon maintains a steady tour schedule with his own music, as well as a sideman for various acts. He brings to the stage not just the pure joy of music, but a vast knowledge of the history behind the songs that he holds close to his heart. 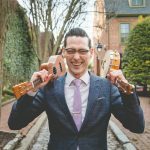 An avid educator, Christopher has taught ukulele at numerous festivals across the country, as well as maintaining a private teaching studio for over 15 years. 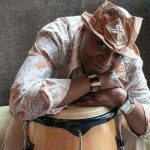 Wanamaker Lewis is long time practitioner of Roots music and a veteran of the Philadelphia music scene. He is a member of Rootology and also plays banjo with The Lewis Brothers bluegrass band. In addition, he plays solo finger style guitar. He brings the same skill and eclectic mix to his solo set. He teaches on guitar: Rock, Blues, Country, Fingerpicking, and Latin. He can even teach Gypsy Jazz. He teaches on banjo: Bluegrass and Old -Time styles. Wanamaker Lewis has been giving private lessons and teaching adult classes for over 25 years. He currently teaches classes for the Mt. Airy Learning Tree and will start at The MainLine Adult School in October of 2018. Student reviews are available on his Thumbtack site. Anne Stevenson Smith has been playing ukulele for nearly 10 years and teaching uke to groups and individuals for the past six years. With her trio, she led a number of uke workshops at the Philadelphia Folk Festival, and by herself, has presented beginner and intermediate workshops at Spring Thing and Fall Fling. 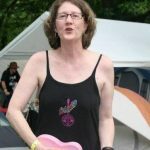 As a founding member of the Philadelphia Mainline Ukulele Group, Anne also leads uke meetups regularly and occasionally performs with friends. In her private teaching practice, Anne adds her significant knowledge of music, helping students understand chord construction and music theory as well as how to play the “uke”. Anne has been singing and performing professionally with various vocal groups and choruses for more than 40 years and minored in music in her undergraduate days at Temple University. Joe Makoviecki is a folk musician/singer-songwriter from New Jersey who calls Manayunk home. The son of a band director, Joe has been playing guitar since he was eleven, and folk guitar since he was eighteen. After a chance encounter with Pete Seeger in Beacon, NY, Joe devoted his life to writing, playing, and teaching folk music ever since. 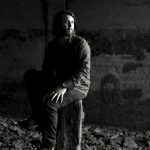 He has traveled the country and abroad with his two bands over the last ten years, Thomas Wesley Stern and Jackson Pines, opening for bands such as Old Crow Medicine Show, Pete Seeger, Mumford and Sons, Margo Price, The Devil Makes Three, Fruition, and The Infamous Stringdusters. He specializes in fingerpicking styles similar to Mississippi John Hurt and Elizabeth Cotton. 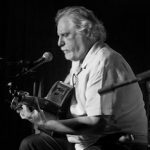 He performs at clubs and gives presentations about the history of Folk Music at schools around the country, as well as teaching at Lakehouse Music Academy in Asbury Park, NJ and the Philadelphia Folksong Society.